Advertising has become this weird thing. 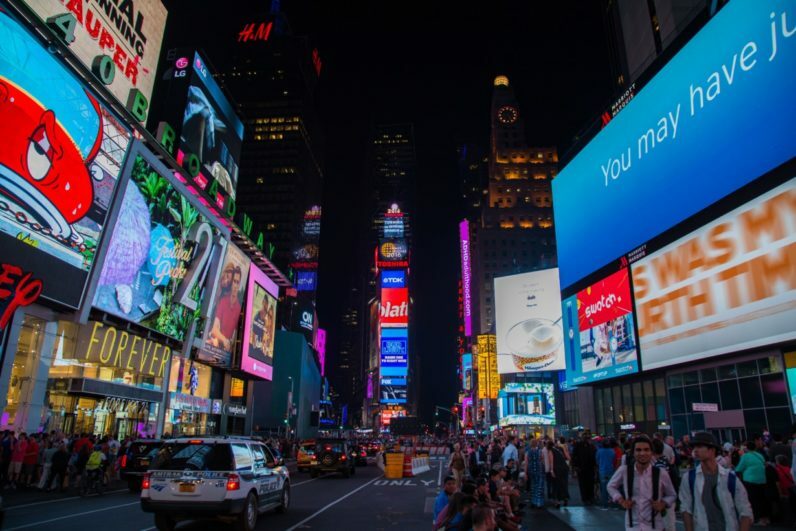 We all hate ads, we hate being advertised to, and in some instances, an overabundance of advertising will actually push us away from a product. I can’t be the only one that refuses to go to O’Reilly’s now because of the 15 second ad after every fourth song on Spotify. Advertisers have to find that “sweet spot,” the point in which advertising isn’t overbearing, yet it is still effective. I have no problem being advertised to, in fact I welcome it, but there is that fine line, one that differs for every person, that you have to be careful not to cross, because at that point you’ve lost your audience and your ads mean nothing to us. So, as 2016 comes to a close, what are some great ways to get your product to the masses? What will come off the most sincere and most effective? We’ve highlighted a couple startups and companies we feel will be making a big splash in the coming year. Check them out below! Banner ads are becoming played out. User engagement is down and we’re desensitized to them. Gamewheel is a company that wants to make ads fun again by gamifying native ads for your business. The process is ridiculously simple, and Gamewheel takes care of almost everything to bring your business or website to large numbers of people by offering fun little games that eventually lead to your product. By using something like Gamewheel, you can attract more eyes to your service and get much higher click-through rates. While much different than the previous idea, StickerRide could prove to offer a unique advertising experience that will stick in potential customers’ minds. The premise is simple, use vehicles to give your business rolling advertisements. StickerRide has worked with companies like Marvel and Gillette, so it’s safe to say they know what they are doing. One of the great things about the service is that it works for both you and the drivers. You get truly mobile advertising and drivers get paid increased amounts the more they drive. StickerRide even includes some gamification features that help both parties, as well. Maybe there is an event downtown and high foot traffic is expected. StickerRide will pay drivers more to drive through those areas, increasing their revenue while increasing the number of eyes on your product. StickerRide works with you to come up with a campaign, then gets it into the app where drivers can choose to become brand ambassadors for your product. They will even integrate with campaigns you already have in place and offer analytics so you can really see results. Unique ad offerings like StickerRide will continue to grow more popular as traditional methods get overplayed. As more content fills our days, we find ourselves gravitating to the idea of “less is more.” What I mean by this is that we aren’t reading as many articles, instead pictures and their captions draw more attention. This is where a company like GumGum comes in. GumGum servers authentic and targeted ads by displaying them directly on pictures that are already within articles and posts. The great part about their ads is that by using smart tech, the advertisements are discreet enough to where they don’t take away from the picture, but still relevant enough that they receive close to 10x the click-through rates of traditional adverts. A subsidiary of StickerRide, AdBike takes the same tech and applies it to bikers. While the concept is the same, having this option for bikes is great because in bigger cities where fewer people own cars, it opens up additional methods for truly mobile advertising. Like StickerRide, bikers will get paid for each mile they peddle. Talk about motivation to get out there and exercise! This is a tried and true method, but you’re going to want to make sure you go with an agency that isn’t cookie-cutter, one that understands trends, innovation, and the market. One such agency is Mekanism, a San Francisco based company that helps clients get their idea and story out by using sincerity, storytelling, and established advertising techniques. Finding an agency that offers both creativity and tangible results can sometimes be difficult, but Mekanism is more of a hybrid ad agency that offers traditional methods, in addition to a production house and multimedia content factory. As 2017 approaches, brands will have to continue to find new ways to advertise to a population that has become desensitized by ads. By using the methods and companies listed above, like Mekanism and StickerRide, you’ll get quality, effective advertising while standing out from the crowd of others trying to simply slam ads into the faces of disinterested viewers.